Do you know the difference between backup and disaster recovery? Data Backup and Disaster Recovery are not the same thing. Lately, we have been having this very discussion at multiple client sites. So much so, that I decided to explain here. The biggest misconception we have been hearing is that a company has been performing routine backups of their data and has therefore been following a disaster recovery plan. This is not true at all. Data backup is essentially the copying of your data to another medium. The purpose of this process is to provide recovery of missing data in a timely fashion. This is not disaster recovery. A disaster recovery plan is a documented process that has been put in place to resolve catastrophic events that could endanger an organization. 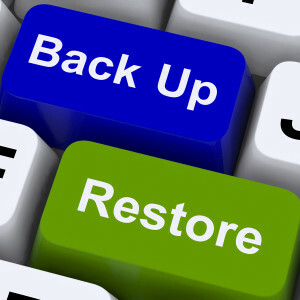 In essence, data backup is considered a part of the disaster recovery plan/process, but nowhere near the entire concept. Let’s take a closer look at data backup. When we perform data backup, we are copying our existing data and putting the copy on a highly accessible medium. It has to be highly accessible in case we need to recover some of that data in a timely fashion. We archive that data over time so we can recover much older data. How far back we archive the data is usually governed by a compliance policy. An important step in protecting our data is to have the copies taken off-site. This way, if anything happens locally, data we can rebuild from is still on a medium in another location. Here is where we start getting into disaster recovery. Backing up the data is very important. Making sure we can use the backup to recover is another thing. 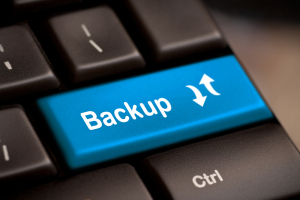 Most organizations have backups that they perform consistently. However, how many of those organizations have actually tried to recover using a backup? Great, we have a backup of a server’s operating system, applications, and data. Has anyone tried to rebuild from that backup? If not, how do we know the backup is viable? There are a number of recorded incidents where qualified organizations needed to recover from a situation only to find out the backup they have been doing for years has had issues that have made it impossible to recover data previously thought to be safe. The success of our backups requires planning and testing. This is where our backups become part of the broader disaster recovery plan. Now, let’s take a look at Disaster recovery. Disaster recovery is the process required for an organization to come back from a catastrophic event. 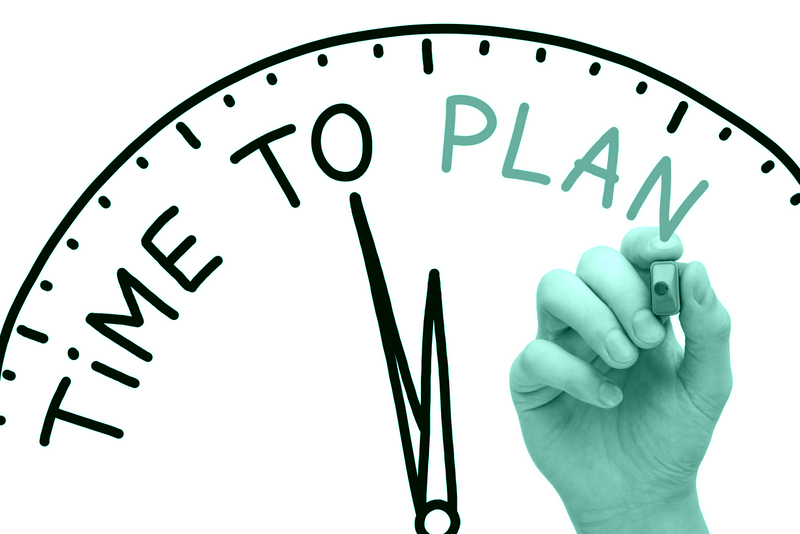 A disaster recovery plan is the documented instructions, processes, and proven methods on how to achieve that goal. Disaster recovery incorporates facilities, resources, and personnel needed to recover from a severe situation an organization could face. In planning for the big picture, the departments in an organization plan for how they are going to recover. What if a facility in an organization is leveled? What does the organization need to do to continue operations? That is disaster recovery planning. Let’s bring it back down to the IT level. What if the facility that got leveled housed the organizations main computing infrastructure? Yes, we have backups of our data. We even have that data offsite. But now, we do not have the original site to recover the data to. This is why we need a disaster recovery plan for the IT department. Besides from backing up data, we need to replicate it. We need a location to replicate to. If we lose our main systems permanently, do we have other systems available to recover to? If not, how can we acquire those systems in a timely manner? Where are these systems going to be located? Who are the primary people we are going to need to perform the tasks to recover these systems? If they are not available, who can be substituted? Do we have documentation on how to recover these systems? Have we tested in the past that the recovery documentation actually works? This is disaster recovery and disaster recovery planning. We have performed a backup. We have protected the data by taking backup media to a different secure location. Or, we used replication to get a copy of the data to another secure site. The copy we have can be used to recover portions of the data when needed. That is the purpose of performing a backup. A plan in place that documents the proven steps needed to restore that copy of the data, the personnel needed to enact the plan, the facility and its level of preparation for an emergency, and the requirements to gather the resources needed. That is disaster recovery. I hope that helps. As always, please feel free to post any questions or comments below or reach me directly by email. Spring cleaning. Getting a fresh start. Purging. These are all great things to do with your life, as it allows you to focus on what is important. But what about the data on your computer? Old documents, pictures, financial data, family movies, etc. The easiest way to purge this is to not backup your machine and then have the unthinkable happen. Your computer crashes and all your data is gone. It is just like a natural disaster that we all too often see where people are digging through the debris just trying to find a picture or teddy bear, just to hold onto memories. I have often preached the benefits and requirement to complete backups of important data. Twenty years ago, it was easy to keep your data intact, as there just wasn’t that much of it. We didn’t have 1,000’s of pictures or even video stored on those personal computers. Financial data, probably, but most of that was also probably printed out on nice green bar paper for cataloging. Today, our data is EVERYWHERE. Literally, everywhere. If you have more than one computer in the house, which many households do, you have spread it across multiple machines to minimize the loss of data. You have pictures in iPhoto and music in iTunes on your mac. You have work documents on your PC at work and your laptop at home. That next great book you were writing is in word. Yikes. So many devices, so many files. My main machine at home was our Mac. We have moved our data from mac to mac as we upgraded the hardware every three to four years as the machine started to get a little slow as newer technology leapfrogged earlier versions. Over 12 years, and thousands of pictures, songs, movies of our kids, etc. were piling up on that Mac. We had no backups, nothing. I tried to make copies of the data to keep them up to date, but it was difficult as things were constantly being added to that machine, and doing backups were a royal pain. That’s when I purchased a subscription to Carbonite for my home machine. I paid the annual price, loaded the application and let it do its things. Gigabytes of data were pushed into the cloud and were kept constantly updated. I would say at least a year went by and then it happened. I did a very stupid thing. We were doing major home renovations and the electric in the home office was somehow not working. Not to be deterred, I ran an extension cord across the house to power the computer and monitor. Note, this is not a wise decision, as that afternoon, major thunderstorms passed overhead and then I heard it — POP! Say goodbye to the Mac Pro. It was completely fried, including the hard drive. Of course I didn’t know for sure that the hard drive was fried until we brought it to the Apple store and the tech confirmed it. They were going to try and repair it, as it still had 25 days left of the AppleCare warranty. In the meantime, we purchased a brand new iMac, as it was getting to that three to four year timeframe. I got home that night, booted up the machine and did all that Apple stuff you have to do and the next thing I did was install Carbonite and begin the restore process and let it run. Two days later, the Mac was completely back up and running with ALL of our data. All the pictures, all my child’s videos and schoolwork. Everything. To this day, I use Carbonite on my home machine and my office machine. It makes doing backups simple. You really don’t have to do anything much in the setup, it will save your files for you. That is the thing that makes this program work the best, it is transparent. 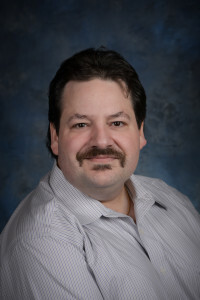 I will say that Carbonite is my backup solution, but to be honest, I do also take important steps on some of my more valuable information and spread it across different cloud based on-line storage just in case. So what’s your backup plan? Share your experiences and questions below. 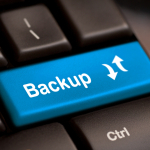 Backup – We all knew this would be on the list and should probably hold a very high priority, so it is first on the list. We need to have a backup of the data at the year’s end. Unless you want one, you probably do not need a systems backup, only data. Our daily and weekly backups will take care of system state backups. What we do want is a complete backup of all data as it looked at the end-of-year. This backup will go somewhere safe. Odds are we will never need it, but we will have it just in case. In some cases, accounting and finance may need to utilize that backup to make sure they only have the previous year’s data without any from the current year. Lock Production – For all the reasons mentioned earlier and other reasons that drive company policy, production systems usually get locked until the end of the year. Only emergency alterations are allowed to production. Increase Support – Many companies are busiest during the holiday season. They are most likely the ones that have production locks. Being busier will increase IT support needs. Increase Operations – Those busy organizations may need an increase in operations to support the increase in business. IT will have to pay closer attention to utilization and daily operations. Staff Alterations – Due to higher vacation utilization at end-of-year, we may also be running on a smaller staff. There will be changes in support coverage and shift operations. Enhance Development – If production is locked, that does not mean we can’t touch the development environment (unless doing so will affect production). This could be a good time to update, clean, or just plain continue work in the development environment. Update Applications – Wait… Didn’t we say production was going to be locked? Well this may be one of those cases where we have no choice. There are software packages that require year-end updates or they will not have the functionality needed to operate properly. For example, accounting and payroll may need updates to tax tables for the next year. Budget – At this point, the previous year’s budget should be gone or close to it. In these last few weeks, you can finalize the budget estimates for the next year. If you had not started on this yet, now may be a good time to start. Reporting – Many business units are going to look for reports on the previous year to perform their required close-outs. So, reporting volume and support will most likely increase. Inventory – if production is locked, now would be a good time to inventory our software and hardware. This includes servers, workstations, laptops, printers and peripherals. Resource Review – This may sound like inventory, but it is a little different. This refers to utilization and consumption. We need to know how much power and computing resources we are currently utilizing and how that will affect the next year. This could occur during or after taking inventory. We should evaluate how much power our systems draw and whether we have ample power and power protection into the next year. We need to know how much of our server (and other hardware) resources we are utilizing to know what we will need for future endeavors. Nothing – We may not need to do anything different. Some organizations see no difference in activity in year-end from the rest of the year. If you think of any other end-of-year tasks to add to the list or have other points of view, please note them in out comments section.